Edward Cullen is one of the most popular movie characters in modern popculture - his pale skin, messy hair and characteristic vampire eyes are an inspiration for millions of fans all over the world. 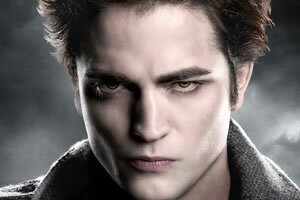 Now you can look like him with ColourVue Twilight coloured contact lenses! They feature brown and yellow colouring surrounded with a black edge which gives them depth and mysterious look. Try them now and turn into the most popular vampire!